"One could have heard the constant banging of hammers against boards and galvanize sheets as people all around the neighborhood were urgently boarding up their windows and doors… There was now a matter of urgency and nervousness in some quarters, especially as the latest news was that Maria was confirmed to be a Category 4 hurricane. Surely people became more gravely concerned as the images of Hurricane Irma and its devastating effects on St Maarten and Anguilla were fresh on our minds from pictures circulated on Social Media…Vehicles could be seen moving speedily on the main village road … The wind and showers intensified and thick dark clouds quickly obscured whatever light remained, making way for an eerie, somber darkness, which began to spread over the land." Grand Fond, Dominica (April 3rd, 2019) – A launch date of Thursday, 11th April 2019, has been set for the release of the first published solo work of author Mr. Jules Pascal. 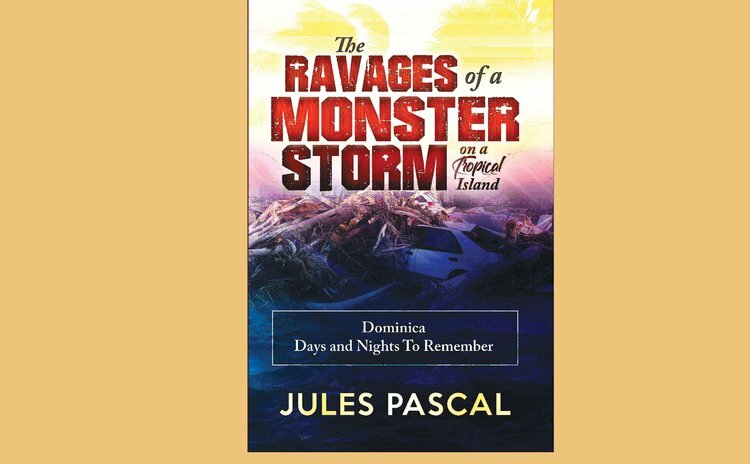 "The Ravages of a Monster Storm on a Tropical Island: Dominica - Days and Nights to Remember"
No stranger to writing or to the Dominican public, Jules Pascal has penned numerous poems, songs and short stories over the years. His love for the arts as a youth saw him paint, compose, sing and even participate in local/cultural dances. He recently received both the 1st and 2nd place awards in the 2018 Dominica National Independence Creole Poetry Competition. Born and raised in the South-Eastern village of Grand Fond, Jules is a fully committed Community Worker, devoted family man and a faithful servant of the Lord. He has been married to his wife Maria for over 34 years and is the father of one daughter, Shari. Jules is skilled in a variety of disciplines including Strategic Planning, Specialist Video Producer in Rural Communications, Small Enterprise Development and Management and Curriculum Development. Those who know him well know that his career spans over decades of youth work including teaching, training, mentoring and leading and before retiring he held the position of Chief Youth Development Officer at the Youth Development Division.